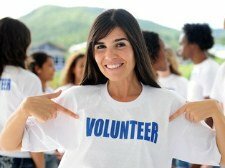 Recruiting volunteers is a vital first step for many non profit organisations before they can start fundraising. But finding good volunteers is not always easy. This is really a no-brainer. As much as anything else people like doing things as a family, and like working with their friends. Asking people to bring along just one more person each next time is a sure-fire way to boost your charity volunteer numbers. Be aware of the image your fundraising may give you. Are the events and fundraisers you are organising restricting your pool of volunteers. Not everyone will want to help at a charity football match whilst some might feel really awkward at a formal ball, however much they support your cause. Finding new fundraising ideas can often open up a whole new world and bring in different people. Also, with a little bit of encouragement, certain sections of your existing volunteer team might be able to add a specific fundraiser to your annual programme aimed particularly at their own demographic. For instance the seniors who begin to put on fundraising tea dances. The cheerleaders who offer keep fit lessons to raise funds. Many towns and other communities have good charity networks ranging from helpful websites to umbrella organisations who can offer advice, links and listings. Often job agencies will advertise charity volunteering opportunities for no charge. 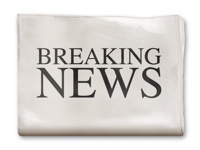 Likewise many local papers offer free listings for non profit organisations, use these to recruit new supporters. Conventional maybe but they do get results. Using "Wanted" as in western / cowboy style posters is always popular. Roller banners are a simple plastic banner stored on a special roll in a metal box. The banner quickly unfurls and is hooked on to a special folding pole; meaning they are easy to store, carry and then set up in under a minute. Roller banners are a great way to make your organisation look slick and professional and are an eyecatching way of advertising any fundraising group or good cause. All you need to do is supply the artwork. Many groups have someone who might be able to help with an interesting design or it might be worth paying if you wanted something really special. Some firms (both manufacturers of roller banners and graphic designers) may offer special rates for charities particularly if you include their own logo or details somewhere on the banner. Your banner should be visually appealing and really tell the story of your group in as few words as possible. This picture shows a great example from Ringwood School PTA in England. - Their banner looks really professional. The slanting text implies action and the simple bullets are perfect in summing up what they do. Then there is a simple ask for support in the middle followed by the school badge to show a familiar feature to prospective supporters and reinforce the link to the school. The whole look of this banner is great and advertises their PTA group perfectly. Roller banners are not just suitable for Parent Teacher Groups. All sorts of charities and good causes can make their organisation look that little bit more special by use of a well designed banner. Try to get your volunteers wearing matching T. Shirts or caps or tabbards. Even better if they have your organisation's name on them. Better still if they have the word volunteer on the back. Volunteers like wearing T shirts too. It keeps their own clothes clean and builds team spirit. It also looks professional and well organised. Just the sort of outfit a prospective charity volunteer may wish to join! There is nothing worse than looking flustered and unprofessional. Or even worse losing someone's contact details. Keep a clipboard with volunteer forms etc handy at all times. Its a good idea to have one person in charge of this - make sure everyone knows who it is. Get the address and contact details of anyone who expresses an interest. The best recruitment tools you have at your disposal are your existing volunteers. People who are clearly enjoying themselves will attract others. 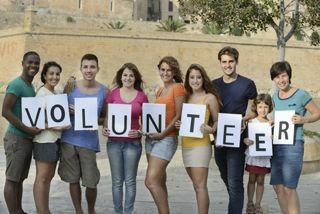 Volunteering for charities or other good causes should always be something that you want to do. Not something that you feel you ought to. So make sure your fundraising events are well organised and fun.